Have you decided to get a blender? 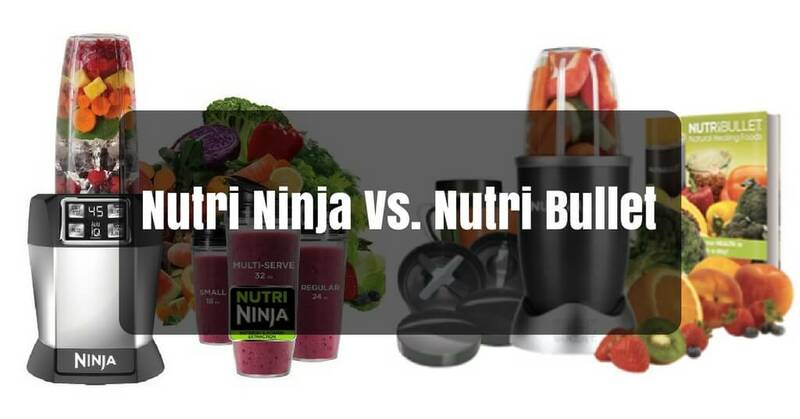 Are you feeling stuck on the best one to choose between Nutri Ninja Vs Nutribullet? Today we will help you find a solution to that problem as we take a look at two lovely blender brands to help you make the right purchasing decision. ​We have chosen to compare the Nutri Ninja duo(bl642) with the NutriBullet Rx. Although there are other blenders in the series, these two stand out in their performance. As you read on you will discover the unique feature and function of each one. The selection was based on their popularity and performance, such as the blending ability, sturdiness, and durability. Nutri Ninja Vs. Nutribullet Rx : Which one is easier to Clean? This section is a breakdown of the design for each blender and the performance produced from close analysis of both blenders. We will take them one after the other and look closely at the power, blade design, speed and size. The Nutribullet Rx blender is the upgrade version of the popular Nutribullet pro blender. It's more compact and durable than the previous models. Lets see the features of Nutribullet Rx. Blade Design – The NutriBullet Rx comes with a blade design that is straight and rotates on bearings when touched. The blades nutribullet-rx-bladeare softly rounded at the edges, so you don’t have to worry about cutting yourself when you handle the blade. Although the edges of the blades may not be sharp, at high speeds, they can crush ingredients with extraordinary precision, though you may be left with bits and pieces if you use the machine to blend fibrous long-stemmed vegetables or cabbage. ​Power – The NutriBullet Rx is believed to have the strongest motor when compared to other compact blenders. It comes with a fruit-crushing, nut-cracking power of 1700-watts, which is more than the power found in full-sized blenders out there today. Speed – NutriBullet Rx’s speed can reach up to 30,000 revolutions per minute. This gives it the added advantage of the super crushing effect as well as the heat generating effect that is great for soup making. ​Size – The NutriBullet Rx measures 17.5 inches in height when fitted with its largest cup (45oz), and weighs about 15.8 pounds. It is 6.5 inches wide, and the depth is the same as well. The NutriBullet Rx makes use of SMART technology (hands-free) and within a very short time, transforms foods considered difficult to extraordinary smoothies that are nutritious. This machine, which features a 7-Minute Heating Cycle is capable of processing nuts, seeds, raw vegetables, spices and fruits in to warm, pureed sauces, soups, beverages, and dips. 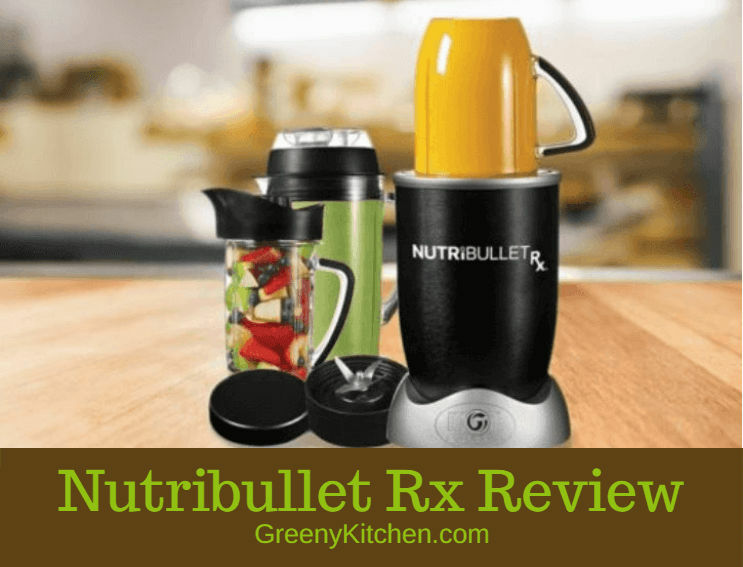 We've published an unbiased review article on Nutribullet Rx here. The Nutri Ninja Duo is one of the best Ninja blender from SharkNinja. This blender comes with a feature called Auto-IQ technology, which enhances the blending capacity of this machine. Using the Auto-IQ technology, this kitchen appliance is capable of providing powerful processing features, which combine mixing, pulsing (timed) as well as pausing functions that take the whole work out of your hands. It also features a digital timer that reveals the amount of time that is left for the blending process to come to an end as indicated by the settings you input on any one of the five Auto-iQ SMART technologies. Blade design – The Nutri Ninja comes with two different kinds of blade. The Extractor blade that works with 3 different cup sizes (18oz, 24oz, 32oz) and the total crushing blade which goes with the 72oz cup. ​The Nutri Ninja blade has reverse threads i.e. the interior part of the Nutri Ninja cup is threaded (as against the external threading of the NutriBullet Rx’s cup). The Nutri Ninja has four rigid and very sharp blades. These blades bend downwards and upwards in motion, and this design enhances the blending experiences of users, especially when blending fruits. ​Power – Blenders must possess enough power to handle certain ingredients like nuts, fibrous fruits, seeds or veggies. Both the Nutri Ninja Duo as well as the NutriBullet Rx packs a lot of punch (power). The only difference is that the former has a 2 horsepower, 1500 watts motor; while the latter has an impressive 2.3 horsepower, 1700 watts motor. Speed – With blenders, power is much more significant than speed. Nevertheless, the speed of a Nutri Ninja blender can be as high as 21,000 RPM against the NutriBullet Rx’s speed, which can reach up to 30,000 RPM! The friction that this speed generates is more than enough to heat up the soup. ​Size – The Nutri Ninja is 17.5 inches tall when fitted with its largest pitcher (72oz) and weighs about 14.5 pounds. The blender is 7 inches wide and 8.5 inches deep. ​This blender has acquired a bunch of positive customer reviews. Most of the ninja blender reviews are positive and the customers are convinced by the versatilities of this amazing blender. 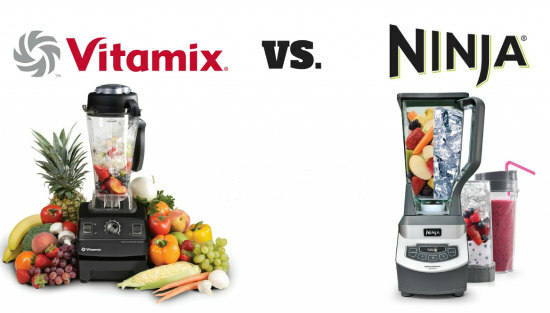 N.B > We've published a side by side comparison between Ninja Vs. Vitamix here. Overall Opinion: From the analysis carried out, it was clear that the NutriBullet Rx surpasses the Nutri Ninja by speed, power and overall design. The NutriBullet Rx comes with one Extractor Blade and three different containers. The 30oz Short Cup is ideal for blending a smoothie. You can conveniently make a smoothie for at least two people with this container. ​The 45oz Oversized Cup is ideal if multiple servings are your aim. This container can blend up to 45oz at one go, which is more than a liter. This bigger cup is the best whenever you want to blend for the whole family or a take out snack. ​If you want to make soup, you have the 1-liter Souperblast Pitcher, which has a 2-piece lid. This vented lid (used for the Soup-making mode) allows the pressure room as well as the heat to be discharged while the soup is still being made. The SouperBlast Pitcher has a spout, which allows you to decant the contents into a bowl after you are done with blending the soup. ​All the cups that come with the NutriBullet Rx have a ring, which allows you to sip your smoothies and a lid that allows you to take your smoothies along with you to the office or the gym. Puree- For making sauces, dips and soups with the crushing blade. Smoothies/frozen drinks- is for making frozen drinks, frozen desserts and smoothies. Pulse- When you want more control over your blending process. Blend- For blending fresh fruits & vegetables. Ultra Blend- Use for blending hardest ingredients like- nuts & seeds, ice etc. It also comes with three manual speeds and a digital timer that informs you on how much time you have left when you select the automatic setting. The same digital timer will tell you how long the blender has been working when you choose the manual speed option. Some predetermined settings are available only when the pitcher, as well as its lid, is locked securely in place. The guide that comes with this blender is a handy helper, and by going through it from time to time, you will become more familiar with how to use this 21st-century blender. This blender is easy to use. 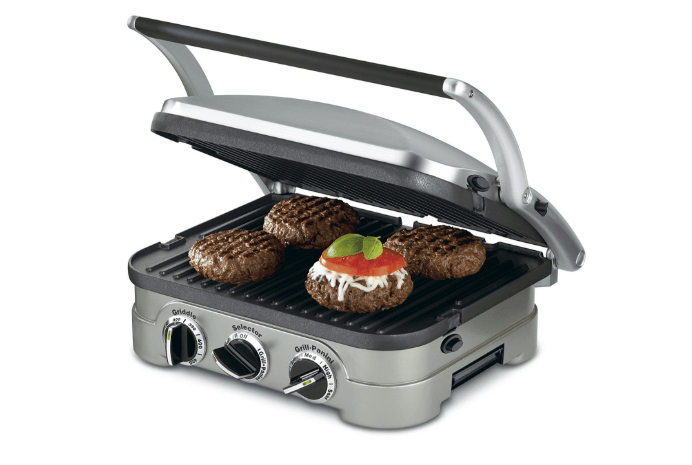 All you need to do is use the extractor blade that comes with it along with either of the three cups. ​This model (17-1001 Blender) comes with an On/Off switch, which was not included in the older models of the NutriBullet Rx. This serves as an attestation that they welcome and take heed to feedbacks from customers. This switch can also be used for pulsing ingredients. You can make use of the NutriBullet Rx, by putting whatever ingredients you want into any of the available cups and then twist it on the extractor blade. Position the cup onto the power base. Then allow the SMART Technology (hands-free) to handle everything for you. ​Give it a minute, then twist the blade off and your smoothie is ready. If, however, you plan to make hot drinks or soups, you can activate the 7-minute heating cycle by pushing the Magic Bullet button until it turns red in about 2 seconds. The controls of the NutriBullet Rx are not rocket-science; therefore, you may not even need to use the manual that comes with the blender. The NutriBullet Rx also comes with a quick start guide which comprises one sheet for pre-programmed mode 1 (NutriBlast) and pre-programmed mode 2 (SouperBlast). N.B: Nutribullet Rx is a blender that can perform as a juicer like aicok juicer. Although aicok masticating juicer is affordable then nutribullet rx. It's great to have juice in your diet plan without having extra pulp in your juice. When the Nutri Ninja was used to blend carrots, kale, and beet, the blender got unwieldy with large pieces of kale still present. The NutriBullet Rx, on the other hand, did a much better job, though, in the end, it came out clunky as well. ​Therefore, if you need to prepare ﻿﻿﻿﻿fruits & ﻿vegetables﻿﻿﻿﻿ smoothies﻿ or green juice (especially beet and kale), it is advised that you cut up the beet into small pieces or chunks, add some water to the mixture so that the machine blends it faster and easier. When the NutriBullet Rx and Nutri Ninja were subjected to the ‘litmus’ test by placing an apple, spinach, bananas, pear, ice and a few liters of water, it was observed that both blenders went through all the ingredients to produce a smoothie with no residue inside within 90 seconds. However, the NutriBullet Rx had a smoother texture when compared with Nutri Ninja.Moreover, you can use the nutribullet rx blender for juicing fruits and vegetables. The key to using both blenders effectively is to add some water to the ingredients whenever you want to blend ingredients and stack your ingredients from hard to soft. The winner of this round is the NutriBullet Rx. It had a smoother texture and the taste was better than the Nutri Ninja. The two blenders were also used to test soup making. They were filled with ingredients and some broth, which were all at room temperature and then blended as the instruction said. ​The soup from the NutriBullet Rx came out steaming hot while the soup from the Nutri Ninja was barely above room temperature. The instruction for the Nutri Ninja advised heating up the soup after blending to warm it up, but that will take a longer time to get your soup ready. Both soups tasted nice, but the soup from the Nutri Ninja had a bit of texture and this is great for users who love some texture in their soup. However, NutriBullet Rx came out smoother and it has once again been declared the winner when it comes to hot soup making. We also test both blenders by crushing ice.The "total crushing blade" of Nutri Ninja duo liquidize ice to snow in just seconds for creamy frozen drinks and smoothies. On the other hand, the Nutribullet Rx ended up with the large portion of ice. 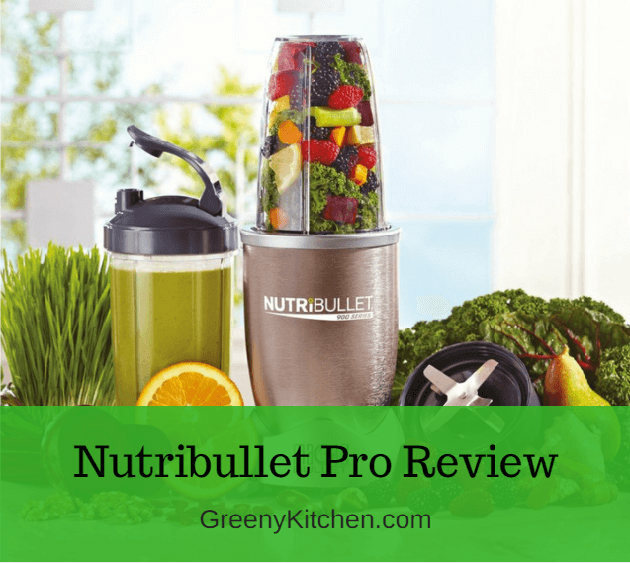 Nutri Ninja Vs Nutribullet Rx : Which one is easier to Clean? Both Nutri Ninja and NutriBullet Rx are dishwasher safe. When cleaning the Nutri Ninja by hand, you need to be wary of the blades. The blades can also be placed in the dishwasher, which is a unique selling point in itself. The extractor blade, total crushing blade, and cups are BPA-free, and dishwasher safe. The sharp nature of the Nutri Ninja blades calls for extreme caution when cleaning the blender by hand. The NutriBullet, on the other hand, is easy to clean by hand, since you only need to clean one blade and three cups. Every component on the Nutri bullet Rx is safe to use, BPA-free and easy to clean with soapy, warm water. You can even place all the elements of this blender (except the blade) on the top shelf of your dishwasher. The dishwasher safe attribute of the Nutri Ninja’s blade is a high-selling point, although it is far easier and safer to wash the NutriBullet Rx by hand. Plan on using the blender to crush ice. Prefer having a mix of automatic and manual controls. Plan to make ice cream and nut butter. Want to clean without any hassle. Want to use as a fully functional food processor along with the blender. Plan to use it for preparing hot soup, sauces, protein shakes etc. Faster blades with more power. You don’t plan on using the blender to crush ice. You don’t like using complicated controls, but prefer the user-friendly attribute of this blender. Decide on your exact requirement or need and get one of these today and start enjoying your delicious smoothies and juice!